The fiction writer speaks to Shelagh Rogers about her latest historical fiction novel. Alix Hawley is a B.C.-based writer and author. She won the 2015 Amazon.ca First Novel Award and the Ethel Wilson Fiction Prize for her debut novel, All True Not a Lie in It, a book that fictionalized the life of Pennsylvania Quaker Daniel Boone. She is also the winner of the 2017 CBC Short Story Prize for Witching. 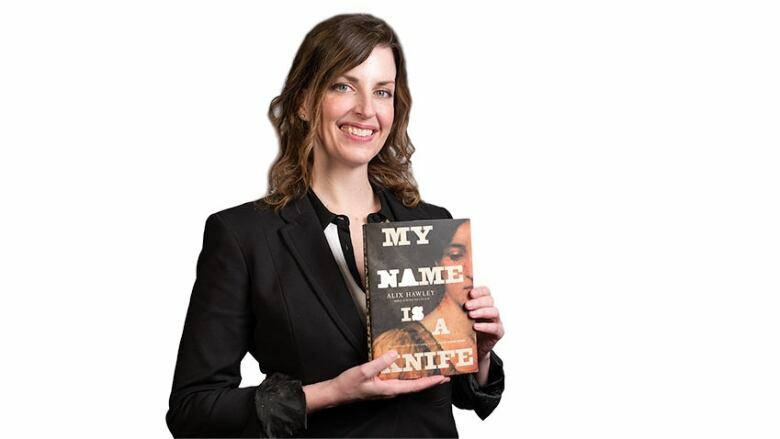 Hawley returns to the adventures of Boone with novel My Name is a Knife, and this time takes a closer look at Rebecca Boone, his estranged wife to reveal why her story is also important. "This book picks up pretty much directly where the last one left off. So Dan, my main character, has been taken captive and adopted by a group of Shawnee people and has decided to head back to his fort where the European settlers have remained to warn them of an impending attack." "One of the things I wanted to do that I hadn't been able to in the first book was to get into the mind of Dan's wife, Rebecca, who was a major figure in the first book but mostly in her absence. So this time, we're in her voice and in her head for half of the story. She was very mysterious to me for the longest time, partly because there's so little of her left in the historical record. "There's nothing written by her. We know only that she had a lot of children and even raised kids who weren't her own as well. She was a skilled midwife." Alix Hawley's comments have been edited for length and clarity.